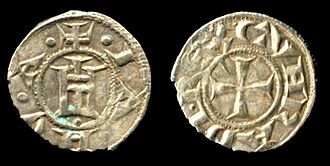 The Gigliato, Gillat or Carlino, was a coin of pure silver established in 1303 by Charles II of Anjou in Naples, and also in Provence from 1330. Its name derives from the Lilies depicted on the reverse entwined around a cross and this type of coin was widely copied in the Eastern Mediterranean, especially by the Turks, such as the Emir of Saruhan. 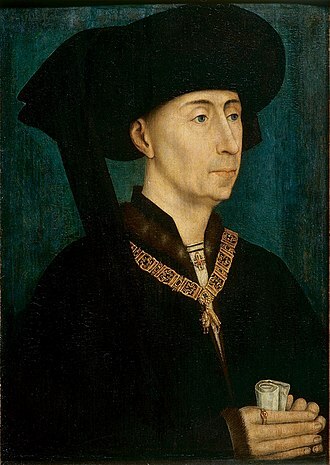 Charles I of Anjou, the brother of Louis IX of France, left his son the Kingdom of Naples. Charles II of Anjou initially continued this coinage, but he took office in a period of financial difficulty throughout Europe, attempts to fix the problem with legislation in 1293,1298 and 1301 only made matters worse. Seeing his coins exported, Charles II of Anjou made a change in 1303. 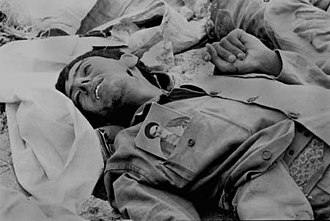 He stopped minting gold coins entirely, and replaced his father’s silver saluto d’argento with a silver coin officially called a carlino. It contained 4.01 grams of.929 fine silver and its types were more typical of French gold coins, especially Philip the Fair’s petit royal d’or, than Italian silver coins. 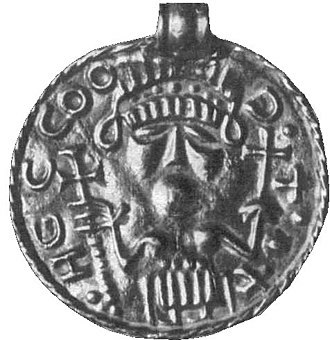 The obverse shows the king in majestatum, i. e. seated on his throne, in this case the throne had lions on either side and the king holds a scepter and an orb topped with a cross. The legend, KAROL SCD DEI GRA IERL ET SICIL REX, i. e. Charles the second king of Jerusalem and Sicily, by 1303, the last remnant of the Kingdom of Jerusalem, was lost too, but the title was still prestigious. Moreover, the island of Sicily, which Charles I of Anjou had conquered in 1266, had been lost in a 1282 revolt called the Sicilian Vespers. Charles II of Anjou himself was captured in the war and had renounced his claims to Sicily as a condition of his release in 1288. 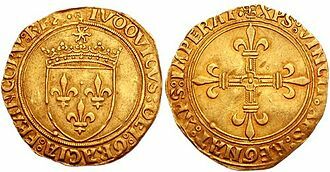 The reverse shows a cross with fleur-de-lis on the ends of its arms and this profusion of lilies gave the coin its nickname, after the Provençal name for them, gillat. 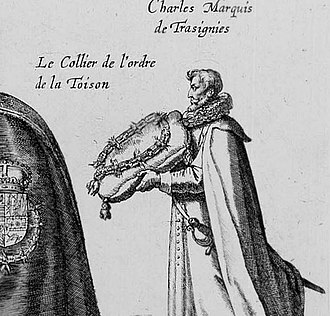 The legend, HONOR REGIS IVDICIVM DILIGIT, i. e. the honor of the king loves judgment, is from Psalm 99.4 and was appropriate to the pious Charles II, the same legend was used again much on coins of James VI of Scotland. Groschen was the name for a coin used in various German-speaking states as well as some non-German-speaking countries of Central Europe and the Danubian Principalities. The name, like that of the English groat, derives from the Italian denaro grosso, or large penny, via the Czech form groš. 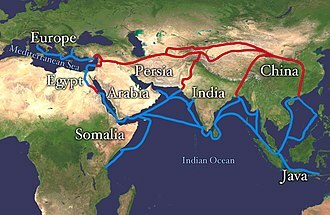 The Qirsh, Ethiopian, Hebrew and Turkish names for currency denominations in, historically it was equal to between several and a dozen denarii. The type was introduced in 1271 by Duke Meinhard II of Tyrol in Merano, the 1286 example depicted here weighs 1. In Poland for example, since 1526 these included coins of 1⁄2 grosz,1 grosz and their weight gradually dropped to 1.8 grams of silver and since 1752 they were replaced by copper coins of the same name. The word has lost popularity with the introduction of the Euro, although it can still be heard on occasion, in Ukraine, grosh is still a slang term for the kopiyka, a 1⁄100 part of a hryvnia. The Ukrainian and Belarusian word for money, ultimately derives from this term also, in Bulgaria, the grosh was used as a currency until the lev was introduced in the 19th century. Kahavanu is a medieval currency from Sri Lanka. Like other Lankan coins from around 11th Century no date is indicated and it is not certain whether the Kahavanu was introduced at Ruhuna, the region in the south of the island to which the Sinhala court had been obliged to move as a result of Rajarajas conquests. The elbow is over a symbol but with a plain shank. To the right is a number of annulets or balls. There is a circle along the periphery of the coin. The right arm is pendant over the knee, which is drawn up. In field to right, there is a Devanagari legend in three lines, Sri Lanka Vibu, vibhu is a title of Vishnu. 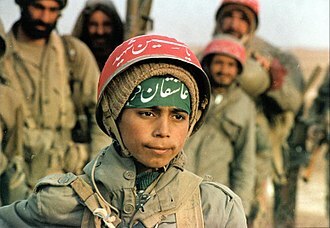 There is a circle along the periphery of coin. The three main types and subtypes as defined in Codrington are adopted in general, types I and II are more rare and characterized by elaborate formations of the Sri, the fineness of the lettering and the more sinuous lines of the body. In Type III with coarser figures the Sri resembles that of the Chola King Rajaraja, in 1907 John Still puts a footnote to the word genuine, How rare genuine specimens are I am inclined to think very few people thoroughly recognize. Medieval Bulgarian coinage are the coins minted by the Bulgarian Emperors during the Middle Ages at the time of the Second Bulgarian Empire. There is no evidence that coins were minted during the First Bulgarian Empire and they were gold, silver and copper coins, all flat and hollow. The inscriptions were usually in Bulgarian language and rarely in Greek, due to the limited space the inscriptions were abbreviated, often written with a few letters and special signs. Artistically, they continued the Byzantine numismatic tradition but the designs were often more schematic, the main means of expression were lines and dots. The Bulgarian coins had images different from the Byzantine and Slav coinage, the coins are an important source for the history of the Second Bulgarian Empire. Tsar Ivan Asen II is the first Bulgarian ruler from whose reign coins are preserved and it is known that his predecessors Kaloyan and Boril minted imitations of Byzantine coins. Although Kaloyan was given the right to mint coins by Pope Innocent III, there are no surviving coins of theirs, gold perpera - It is the only surviving gold coin, not only of a medieval Bulgarian monarch, but of any Slavonic ruler of the period. One example was found in 1934 among other coins in the area of Prilep and it is now in the National Archaeological Museum of the Bulgarian Academy of Sciences. Its weight is 4.33 g, the diameter is 33 mm, on one side Ivan Asen II and Saint Demetrius of Thessaloniki are depicted upright. With one of his hands the Saint gives the Emperor a sword, the inscription is in Bulgarian and abbreviated, and says, Ivan Asen and Saint Dimitar. On the other side of the coin is depicted Christ Pantocrator, the inscription is Jesus Christ, Tsar of the Glory. 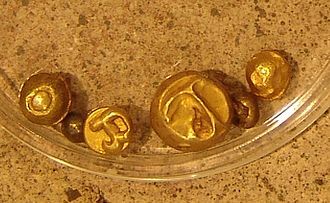 Due to similarities with the coins of Theodore Komnenos Doukas, it is presumed that the coins might have been minted in the Thessalonica mint, the uniqueness of Ivan Asens gold perpera and the peculiarity of its iconography have ledt a minority of researchers to doubt its authenticity. Its peculiarity is the gesture of Saint Demetrius who simultaneously crowns the Emperor and gives him a sword. Billon coins - There are around one hundred preserved coins of that type, on one side is the image of the Emperor and Saint Demetrius upright and holding a scepter with a star. A bracteate is a flat, single-sided gold medal worn as jewelry that was produced in Northern Europe predominantly during the Migration Period of the Germanic Iron Age. Gold bracteates commonly denote a type of jewelry, made mainly in the 5th to 7th century AD. Bead-rimmed and fitted with a loop, most were intended to be suspended by a string around the neck. 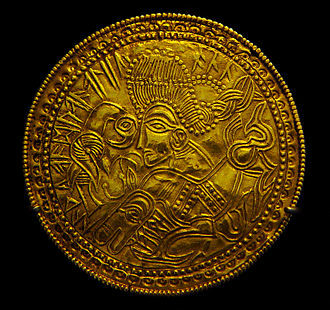 The gold for the bracteates came from coins paid as peace money by the Roman Empire to their Northern Germanic neighbors, the motifs are commonly those of Germanic mythology and some are believed to be Germanic pagan icons giving protection or for divination. For this reason the bracteates are a target of iconographic studies by scholars interested in Germanic religion, several bracteates feature runic alphabet inscriptions. Numerous Bracteates feature swastikas as a common motif, of these,135 bear Elder Futhark inscriptions which are often very short, the most notable inscriptions are found on the Seeland-II-C, Vadstena and Tjurkö bracteates. 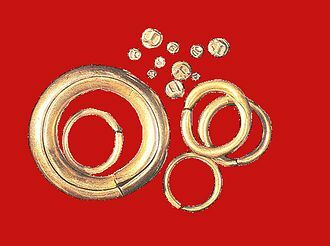 To these can be added the ca.270 E-bracteates, which belong to the Vendel Period and they were produced only on Gotland, and while the earlier bracteates all were made from gold, many E-bracteates were made from silver or bronze. This has been published in three volumes in German named Die Goldbrakteaten der Völkerwanderungszeit, a catalogue supplement is included in Heizmann & Axboe 2011. In some cantons of Switzerland, bracteate-like rappen, the term bracteate for these coins was not used contemporarily. It was first used in the 17th century, the bracteates were usually called back regularly, about once or twice a year, and could be exchanged for new coins with a deduction. This system worked like a demurrage, People wouldnt hoard their coins, so this money was used more as a medium of exchange than for storing value. This increased the velocity of money and stimulated the economy, medieval silver bracteates may be large, but most are about 15 millimeters across and weigh about 1 gram. Sometimes the coins could be divided to pay smaller amounts, the town leagues were not interested in such a system and introduced in 1413 the Ewiger Pfennig without this decay. A gold coin of Emperor Ivan Asen II. A silver coin of Ivan Alexander and his son Michael Asen. A silver coin of Micheal Asen and his wife Irina. Ducato of Michele Steno (1400-1413). Denarius of Louis the Pious (minted 819-822). Republic of Venice, Grosso or 'Matapan' of Antonio Venier, Doge of Venice (1382-1400). Silver ducato of Giovanni II Cornaro. A Samhan Tongbo (三韓通寶, 삼한통보) and a Samhan Jungbo (三韓重寶, 삼한중보) inside of the National Museum of Korea. Various coins from Goryeo, and Joseon with mostly different Sangpyeong Tongbo from small to large denominations. Note that some of the coins at the top are Ryukyuan mon coins. An Eiraku Tsūhō (永樂通寳) coin, one of the most commonly circulating coins of the era before the Edo period. A Hōei Tsūhō (寳永通寳) coin, these were unsuccessfully introduced as a large denomination 10 mon coin in 1708, but failed because of their debased copper content. Bundles of 100 copper mon coins strung together for convenience of both transportation and payment. Proliferation of local Japanese coinage during the Bakumatsu period. A Liao dynasty coin with its inscription written in Khitan script on display at the National Museum of Chinese Writing. A Da An Yuan Bao (大安元寶) coin, Yuan Bao coins tend to be heavier than Tong Bao (通寶) coins. A Great Liao Treasure Note of 10 guàn allegedly issued by the Qara Khitai Khanate. Silver gigliato of Hélion de Villeneuve, Grand Master of the Knights of Rhodes, 1319-1346. Silver gigliato of Sarukhan, Bey of Magnesia, 1313-1348, ruler of Lydia, western Turkey. Bills of 80 and 20 Hellers from 1920 and 1921. Gran dobla or dobla de a diez of Pedro I of Castile, minted in Seville in 1360 (Madrid).